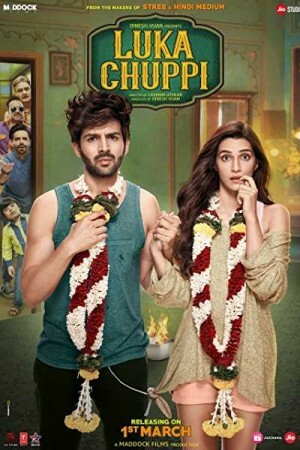 Luka Chuppi, an Indian romantic comedy film, is the love story of Guddu and Rashmi, filled with affection, romance, comedy, and a struggle with the traditional mindset. Though Guddu proposes Rashmi for marriage, she is more interested in a live-in relationship to develop a better understanding before the lifelong commitment. The couple agrees to the same and starts living together without marrying but confusion and chaos are created when their traditional families assume that they are married and start living with them. Will they reveal the truth to their families or pretend being married? How they deal with the situation forms the rest of the story.